of them or create your own. information on what is happening in Cabo. private rooms that are available for private events. If you need to have your Cabo event catered, you have many choices. services that can make your event perfect. Want to know what’s happening in Los Cabos? Check out all of the events in our local events calendar. Information about everything from the perfect location to wedding planners and other Cabo wedding vendors. Whether you need a photographer or an air brush makeup artist this guide will make your event perfect. Pueblo Bonito Resorts offer four stunning hotels as options for your wedding or event. 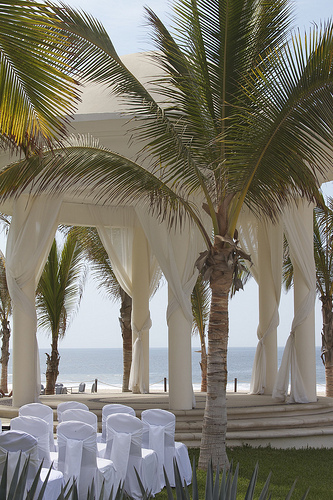 Get married on the beach at sunset at Pueblo Bonito Pacific Resort & Spa, have your event in a stunning ballroom or many more options. Many resorts offer conference rooms and other meeting amenities. If you are looking for great activites for your clients, there are many event planners that can help arrange them. Spring break is a popular time to visit Los Cabos. There are many hotels and tour companies that cater to large groups that can make your Spring Break Trip amazing.